Interest in this event has been fantastic and we do have teams on the waiting list this year! Twelve teams competed in the 2018 EDVA Mixed Tournament. It was fantastic to see half the teams in the competition made up of younger players, with four university teams from Exeter and Plymouth and both PMVC and Exeter Storms each fielding a young team. 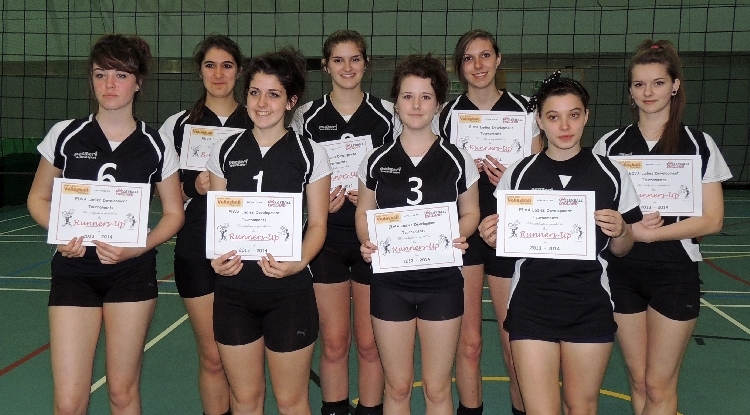 The PMVC Scorpions team were primarily an under 16 team with the oldest player at 17! Many of these players were playing in their first adult competition and show great promise for the future. 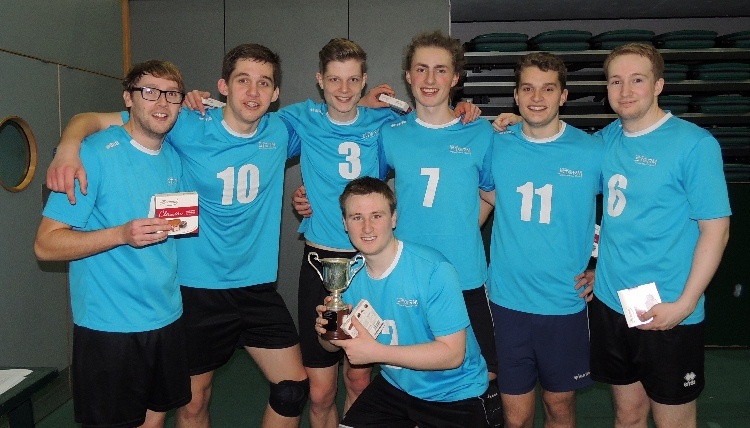 ESVC Thunder Stormers, comprised mostly of Under 18’s who are playing regularly in the EDVA Division One, showed their extra experience only losing one match in the pool round. They secured their place in the top four by a narrow victory over Plymouth BUCS, giving them a 1 point advantage at the end of the pool round. At the other end of Pool A it went down to the final match to determine the placings. 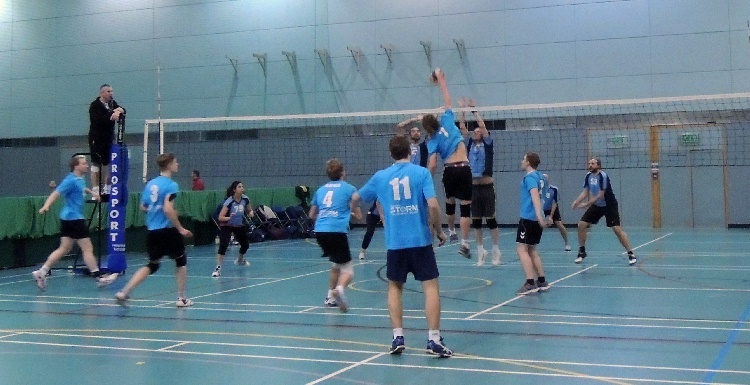 In Pool B, it was clear early on that ESVC Lightning Stormers were the ones in control, although it was a very close fought match with Exeter University BUCS. 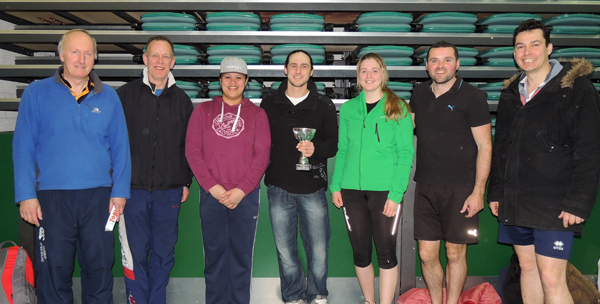 After the pool rounds teams were split into three groups competing for the Cup, Plate and Bowl titles. The semi-finals in all the trophy competitions each featured a club derby, with the two Exeter Storm teams competing for a place in the Cup final, Torexe Jaguars and Spitfires duelling it out to get to the Plate final and PMVC Tigers and Scorpions after a place in the Bowl final. 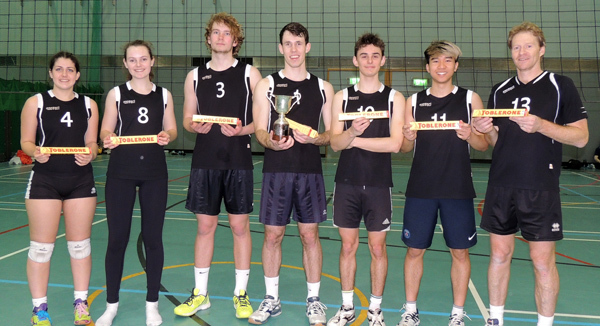 The Cup final saw Exeter University BUCS looking for revenge after their narrow defeat against ESVC Lightning Stormers earlier in the day, but after a very tight match it was not to be and ESVC took the Cup title. 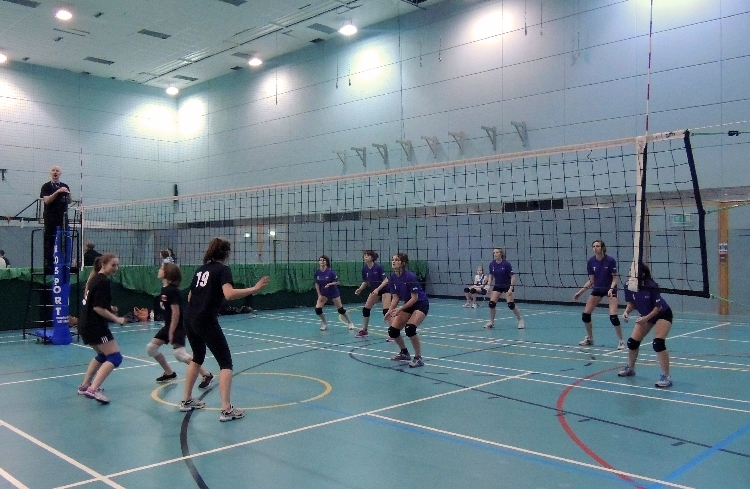 The Plate final was a close game with the Plymouth University BUCS team just having the advantage over Torexe Jaguars. 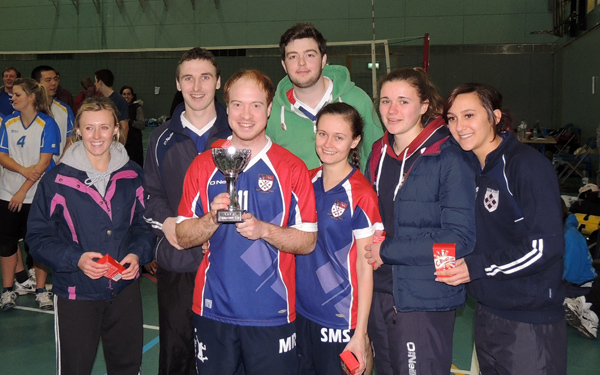 In the Bowl final the less experienced Plymouth University side were no match for PMVC Tigers. 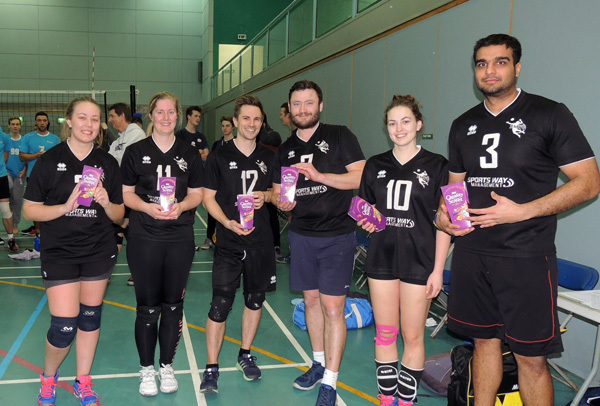 This year’s event was once again a sellout with a full complement of 12 teams representing the majority of the clubs in the EDVA league. The first rounds of pool play resulted in the top two teams in both pools separated only by a few points, setting up the prospect of some exciting matches as the teams were divided into Cup, Plate and Bowl competitions. Anyone of the top four teams could have won the event as both semi-final were decided by a single point. 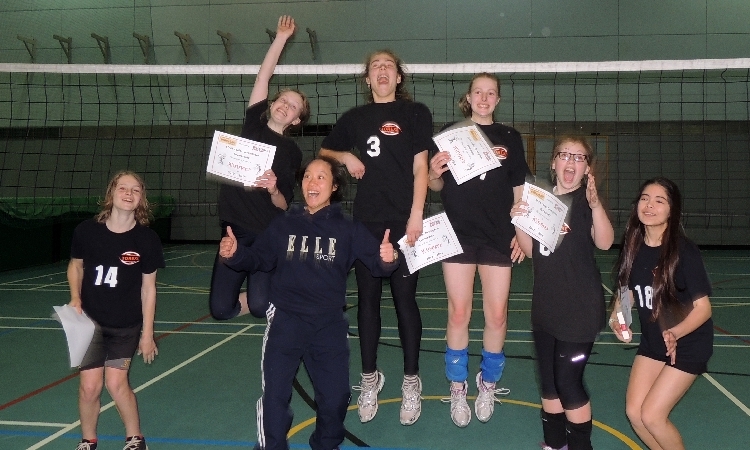 In the end it was Taunton who took this years title in the final over EWVC Cardinals. 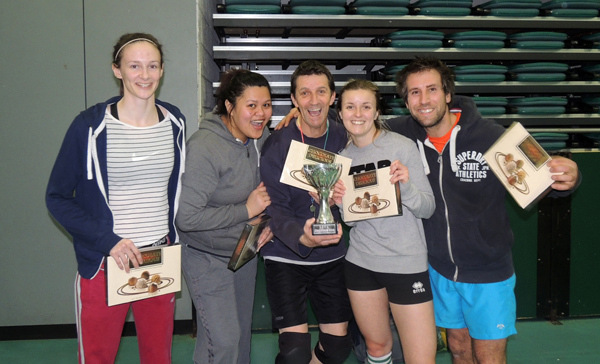 Kirton took this years Plate competition, with a win over PMVC Pirates in their final. 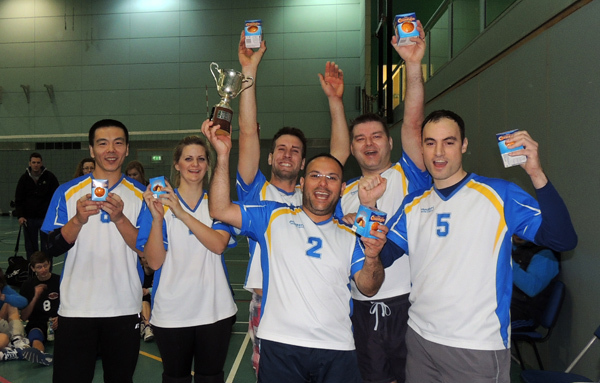 This years final Bowl final went to Torexe Vulcans with a win over Exeter University 1. Well done to everyone who took part, we will see you all at the next event. 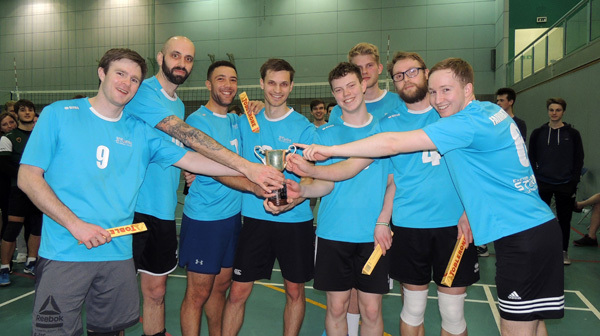 This year’s event was once again a sellout with a full complement of 12 teams representing the majority of the clubs in the EDVA league. The first rounds of pool play resulted in the top two teams in both pools separated only by game points, setting up the prospect of some exciting matches as the teams were divided into Cup, Plate and Bowl competitions. So it proved with several of the placings being decided by only 2 or 3 points. The final placings are shown below, with Torexe Hunters retaining their Cup title from last year, fighting off a late come back from Exeter Storm. 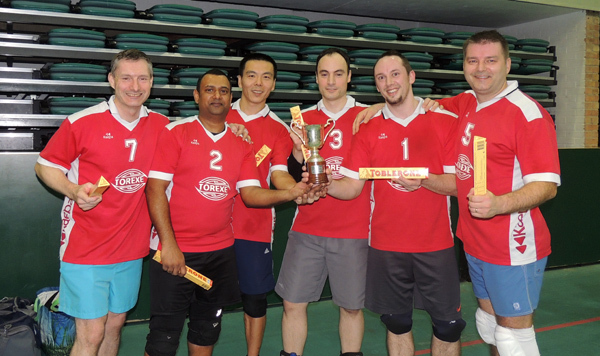 The Plate final was a very closely fought match between Torexe Phantoms and EWVC Cardinals, with Phantoms just having the advantage at the final hooter. It was an all Torexe affair in the Bowl final, where Harriers had a comfortable victory over Jaguars. After picking up maximum points in Round 3 of the Ladies Development Tournament today, with their second event win of the series, the Torexe Juniors team finished 1st, four points clear of second place Taunton Juniors with the SW U16 teams in third place. 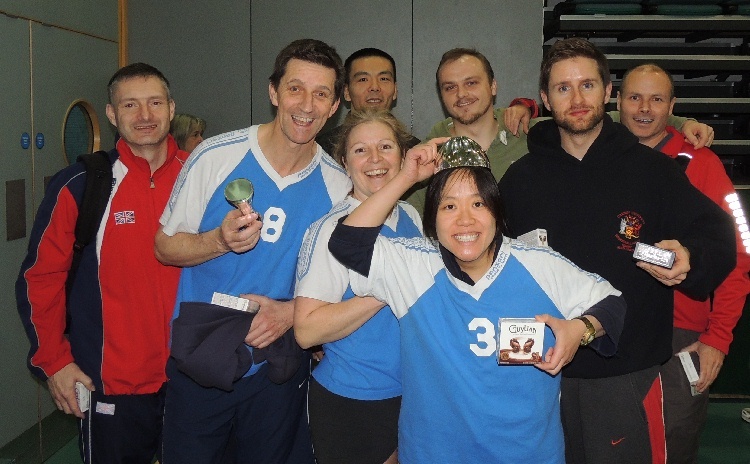 It was another excellent day of volleyball action in the anual EDVA Mixed Tournament. This year was a sell-out and it was excellent to see some 90 players from across our region packing out the sportshall competing for all three titles on offer, in the Cup, Plate and Bowl competitions. The day started with all teams competing in two pools, PMVC Pocket Rockets and Torexe Hunters topped Pool 1, with Exeter Storm and WVC Raptors topping Pool 2. Raptors battled hard to take a close fought match over the unbeaten Pocket Rockets 22 – 19 and Storm’s came out top against Hunters 26-18 to set up the final between the two winners. Exeter Storm, playing many of their U18 Juniors who competed in Kettering the day before in the National U18 Grand Prix, still found enough energy left at the end of the day to bring an end to Div 2 Raptors excellent run through the competition and take the Cup title. In the Plate event, WVC Cardinals made their way into the final with another close fought match with a 22-20 win over ABS11 . 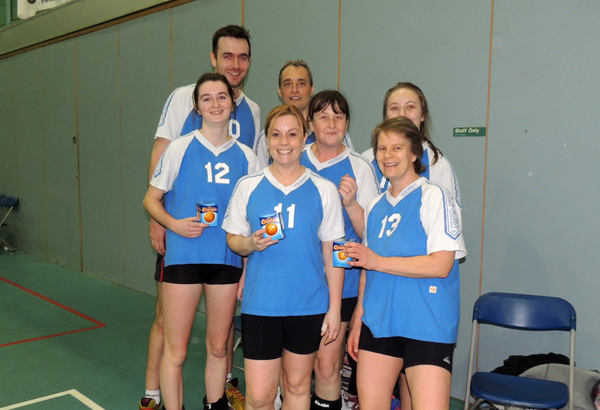 They were joined by Torexe Phantoms who had a straight forward win over Torexe Vulcans 29-19. The final also came down to just two points difference with Cardinals this time on the wrong side of the scoreline as Phantoms took the match 23-21. 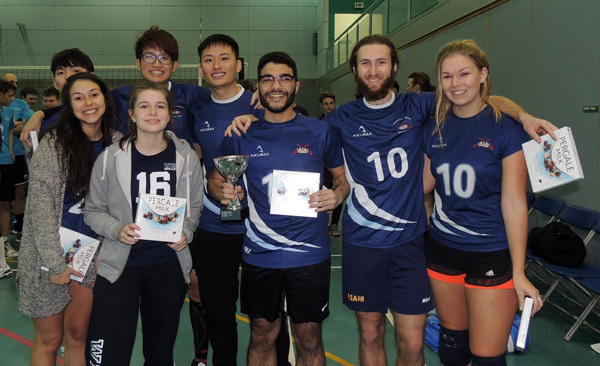 In the Bowl event, Torexe Jaguars came out top, over Torexe Spitfires A & B who took second and third place ahead of guest team Marjon University. The second in a series of three ladies development tournaments kicked off with a well attended clinic on the duties of the second referee, given by Andrew Potter, SWVA Officials Secretary and it was great to see people putting into practice what they learned during the tournament, many taking to the whistle for the first time. 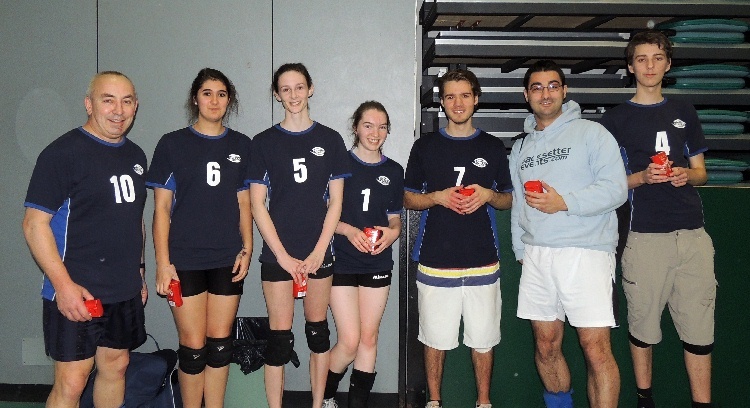 This round of the competition was oversubsribed, but unfortunately on the day one team failed to arrive, leaving us with 7 teams, resulting in some teams getting more volleyball matches than they expected as the pool of three played each other twice. The tournament started with a fast and furious seeding round with teams playing short 12 minute matches. 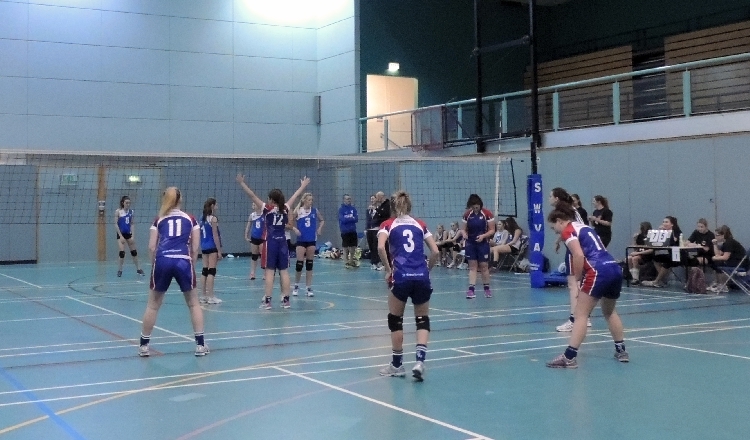 The top two teams from each pool Taunton Juniors, SWVA U16, Marjon University and Torexe Juniors went on to form the top pool for the second round of 2 set matches. 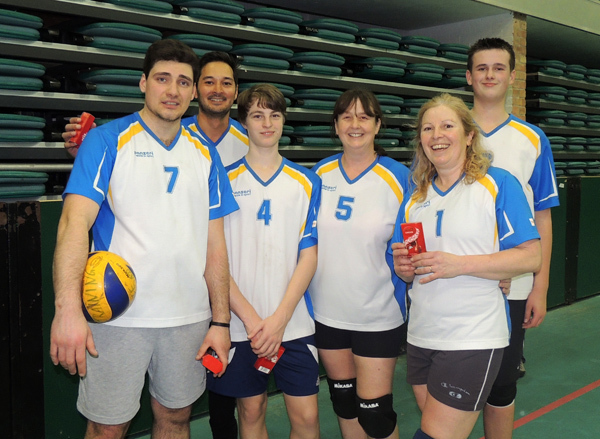 The remaining teams, Ask Mum, Kings and PMVC Ivybridge Tigers formed a new pool of three and also played 2 set matches, but again played each other twice. 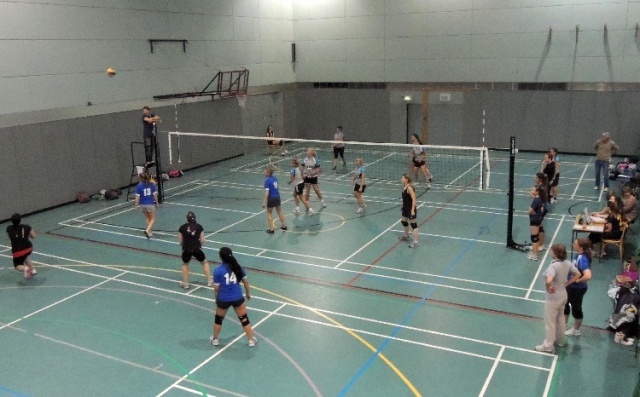 Eight teams took part in round one of this years Ladies Development Tournament, the action started at midday with teams playing a quick set of pool matches to determine the afternoon match session. 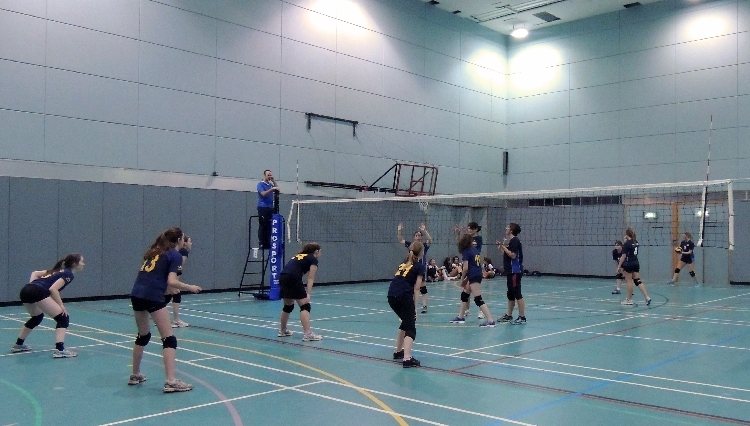 The Match sessions took the form of two sets matches with teams collecting one match point per set. In the top pool, it was Chitas who came out on top, beating Academy of Beach Sports to the round one title and hence picking up maximum points. 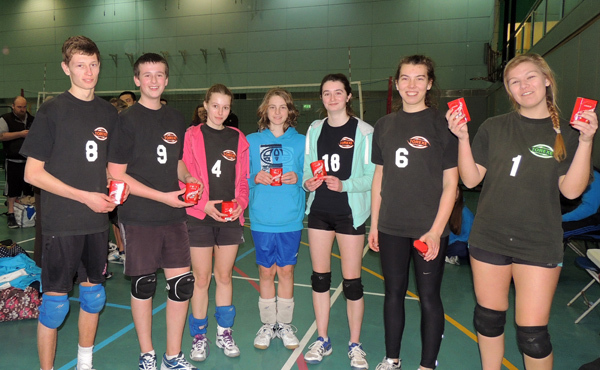 Third and forth places went to Taunton Juniors and Torexe Ladies. In the second pool, all four teams tied with three match points each after the six matches had finished. Final placings came down to points scored. The event also provided the opportunity for development of officials, with help and advice on hand throughout the day to the referees and scorers It was very encouraging to see people taking to the whistle for the first time or returning after an extended break. Even more learnt how to fill in full match scoresheets with impressive results. Round Two takes place on 26th Jan 2014, more photos available via the Photos Menu above.